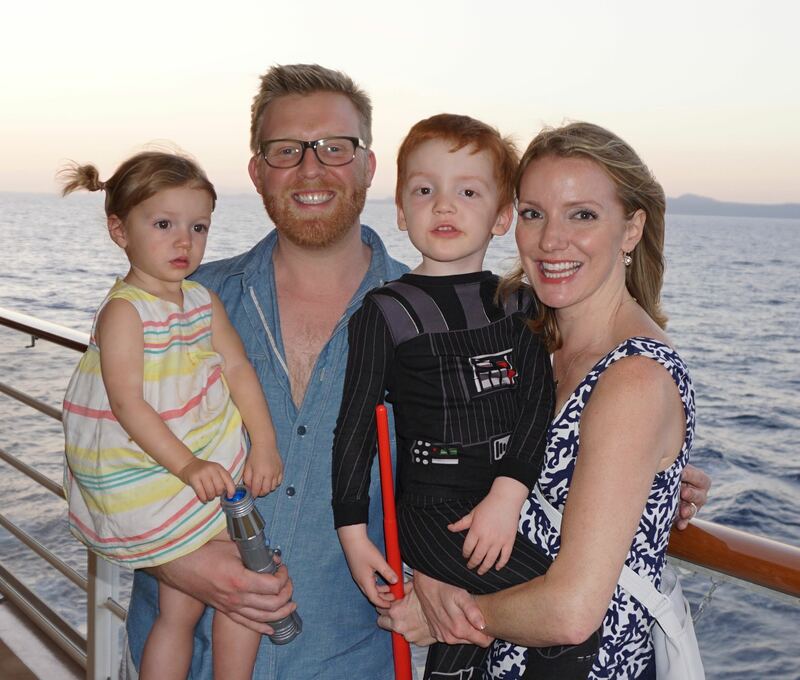 We are back from our fourth winter Disney Cruise with this crew-well, second for Georgia (or third, if you count the one en utero). It was a blast, as always, and incredibly relaxing for the adults. 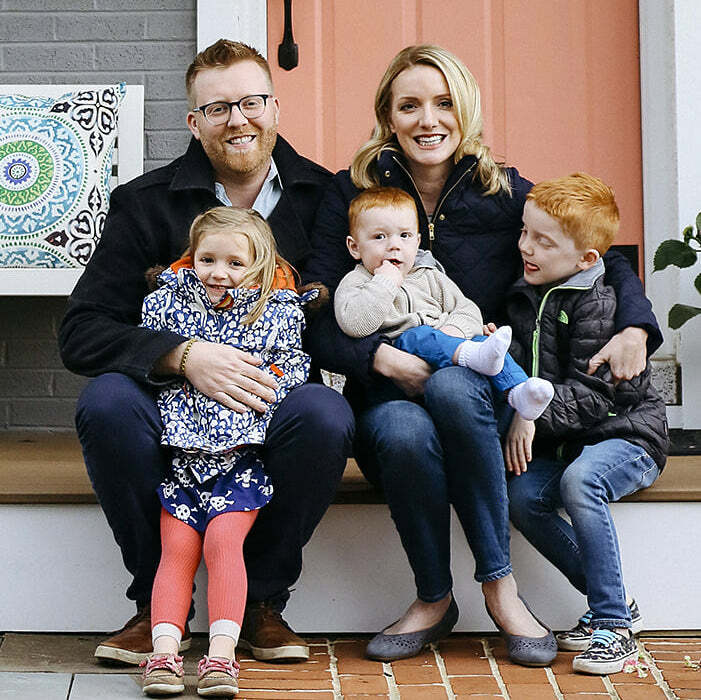 Now that we are traveling with a toddler and a pre-schooler, I thought I would share a few updated tips that we’ve picked up from our adventures. If you want to check out my original Disney Cruise post, you can find it here. 1. My biggest concern this year was sleeping arrangements for our 22 month and 3.5 year old, who are used to having their own rooms. I was more than a little apprehensive at the thought of our vacation being ruined by getting 3 hours of sleep a night. Even though there was a pack n play for Georgia, I knew she would stay up for hours giggling and talking if she could see Grant in bed next to her. 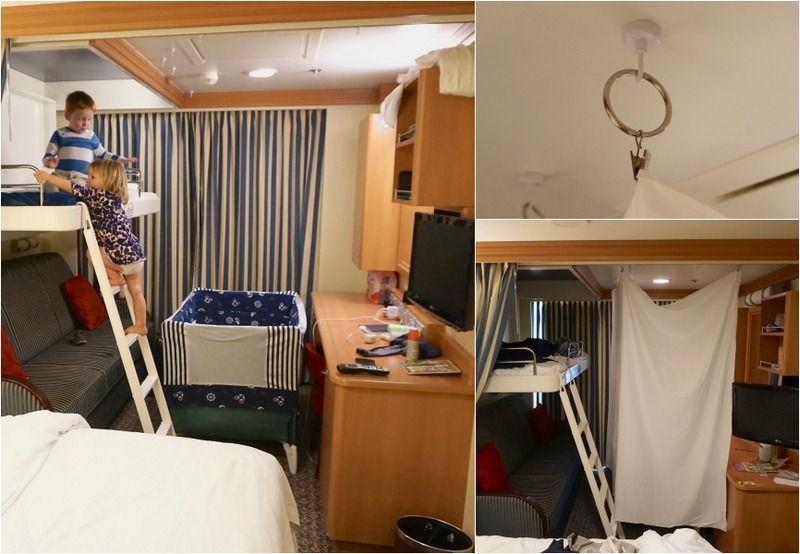 My solution came in the form of heavy duty magnetic hooks (because all of the walls and ceilings of the ship are made of metal) and curtain rings to create a divider. 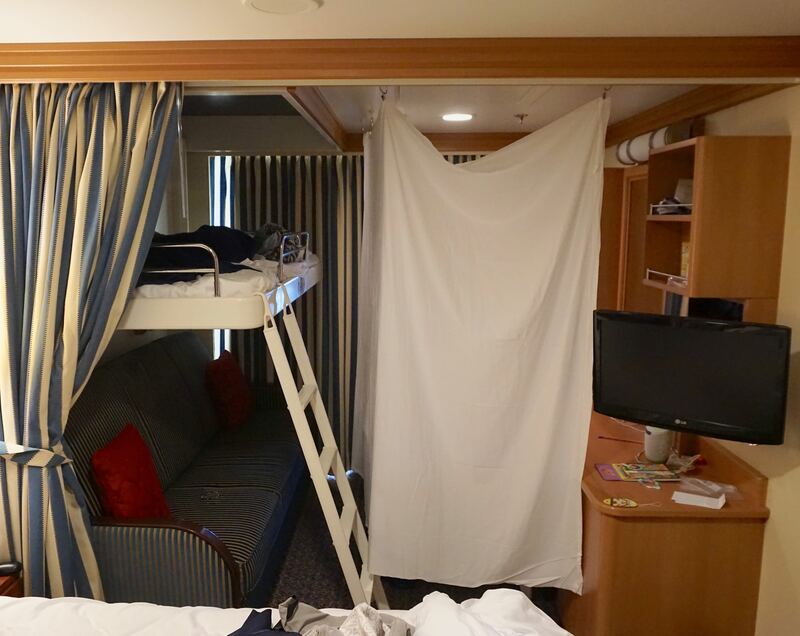 The kids sleeping area is already separated from ours by a thick curtain that filters out light and sound pretty well. We throw in a sound machine, and it’s like we’re in two separate cabins. It actually worked really well. I borrowed an extra sheet from our room steward, and the small division made it much easier for the kids to pass out after their busy days. 2. Pack a carry on that will last you 2-3 days. 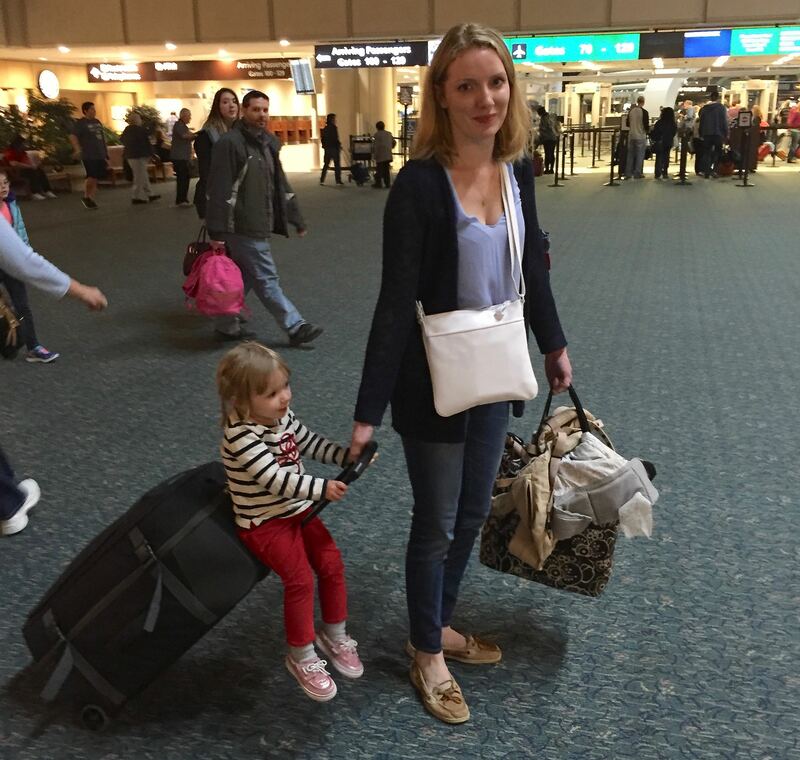 Not that I enjoy lugging children and suitcases through the airport, but bringing a carry on with enough to get you through a couple days is pretty important. If the airline loses your bag, especially if you’re flying in the morning of the cruise-you’ll likely be stuck without luggage until your first port day. Unless you want to be using the ships laundry rooms every night, or buying a few hundred dollars worth of Mickey Mouse apparel, include a couple changes of clothes and any essential toiletry items in your carry on bag. 3. While we’re on the subject of packing-pack enough clothes for everyday of the trip. Yes, Disney is one of the few cruise lines with laundry facilities onboard, but you want to avoid using them at all costs. These are the world’s tiniest washer and dryers, so I could only fit about 1/5th a normal sized load, and then had to go through two dry cycles to finish. This meant a couple hours of walking up and down stairs and to the opposite end of the boat to check on laundry, while I wanted to be laying by the pool. It isn’t worth it, there’s plenty of storage under the bed for an extra suitcase. 4. You don’t have to get off at every port-in fact, port days are the best times to be on the boat with younger kids. My 3 year old gets pretty antsy waiting in line, and the pools can be insanely crowded while at sea, but it’s a ghost town on port days. 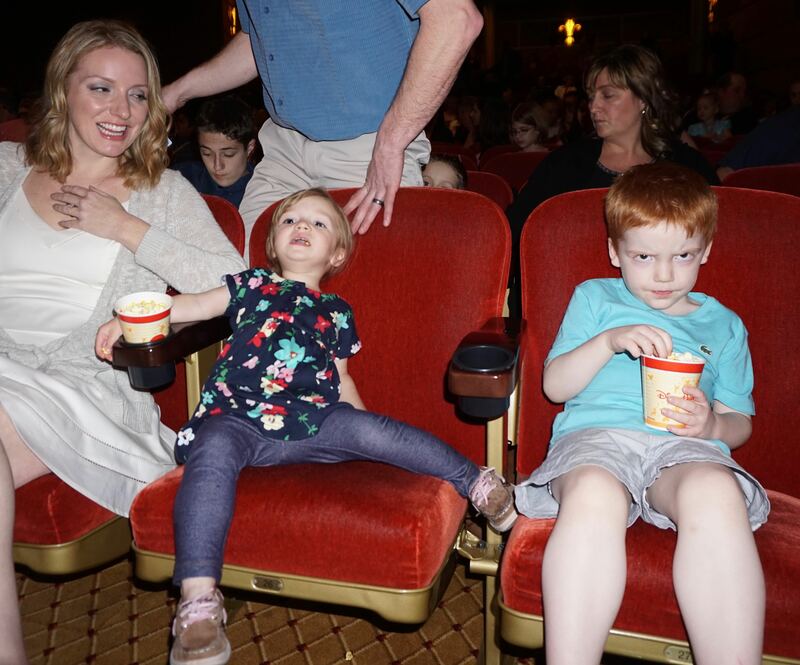 If you aren’t interested in dragging your kids through a bunch of Diamonds Internationals (because they are encircling every port), or spending a fortune on excursions, enjoy the empty movie theatre and relax onboard. 5. That being said-if you’re lucky enough to have a stop in Grand Cayman-get off the ship! 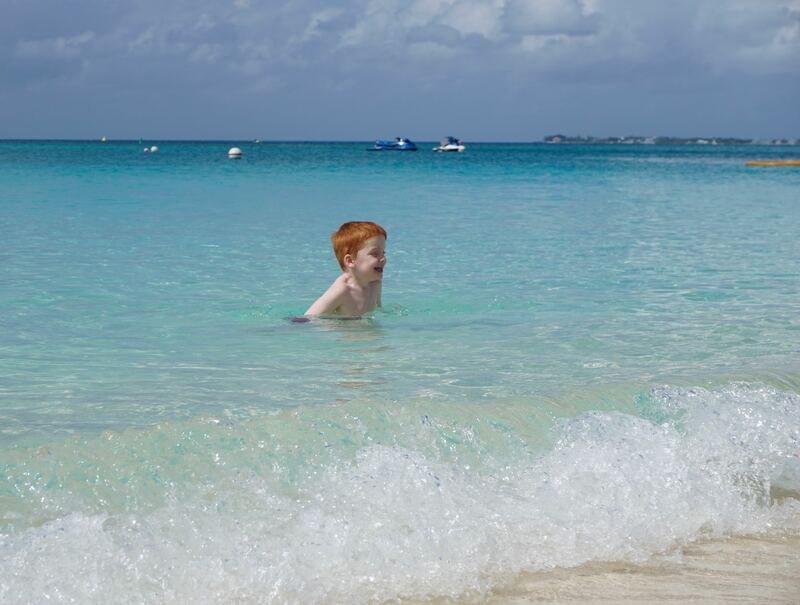 Grand Cayman has the best beaches I’ve ever seen for young kids. They’re crystal clear, shallow, and the barrier around 7 Mile Beach meant there were no waves to be seen, so we could sit in the sand and let Grant splash around without having to worry about a giant wave sweeping him out to sea. We took a taxi to the Ritz Carlton, got a bottle of champagne, and had one the best days of our vacation. 6. Sit in the front row for shows. This may be counterintuitive, but if you have young kids and aren’t totally sure if they’ll make it through the entire thing, it’s a lot easier to sit in the front on the side of the theatre. Being up close made it easier for my kids to stay focused, and most of the Disney shows have a lot of music and familiar characters, so they really enjoyed them. Also, there’s no seat in front of you to kick, and jumping up for an emergency potty break is a breeze when you don’t have to step over anyone to get out. 7. If you need something-ask, but do it politely! We were lucky enough to have Star Wars Day at Sea on our boat. 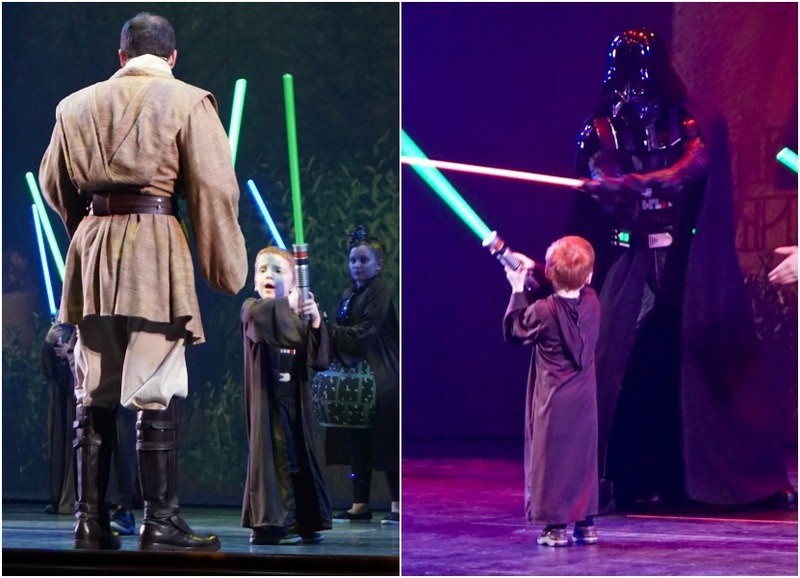 It was so much fun for our kids, and there were a few opportunities during the day for the kids to “fight Darth Vader” in an onstage show. We attended the first show of the day and my son wasn’t chosen to go onstage. He was really excited, so after the show I asked the woman in charge if he might get the chance if we were to come back for the next performance. She told me everyone was chosen entirely at random, but she would do her best to remember him. When we came back I saw several parents raising their voices and demanding their kids be included, and politely being asked to sit back down in their seats. 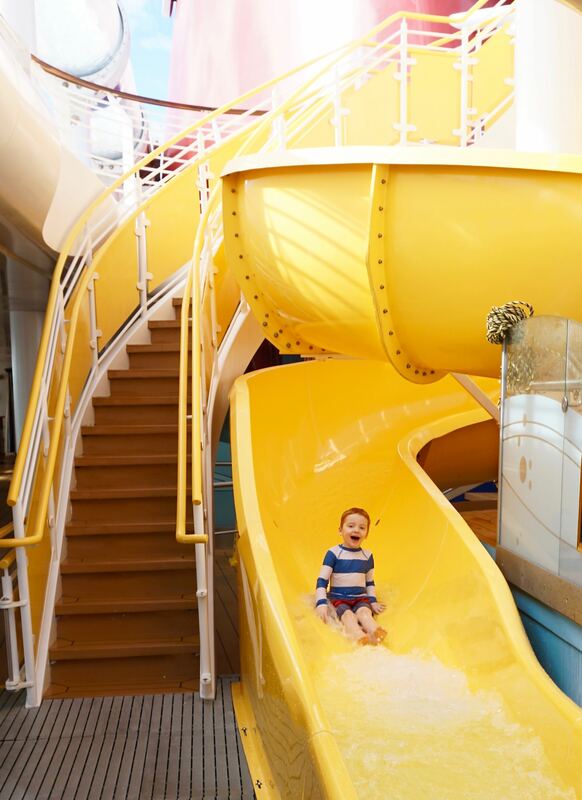 Everyone on the Disney ship is incredibly kind and accommodating, so just relax and know that they will do everything they can to make sure you have a great time!